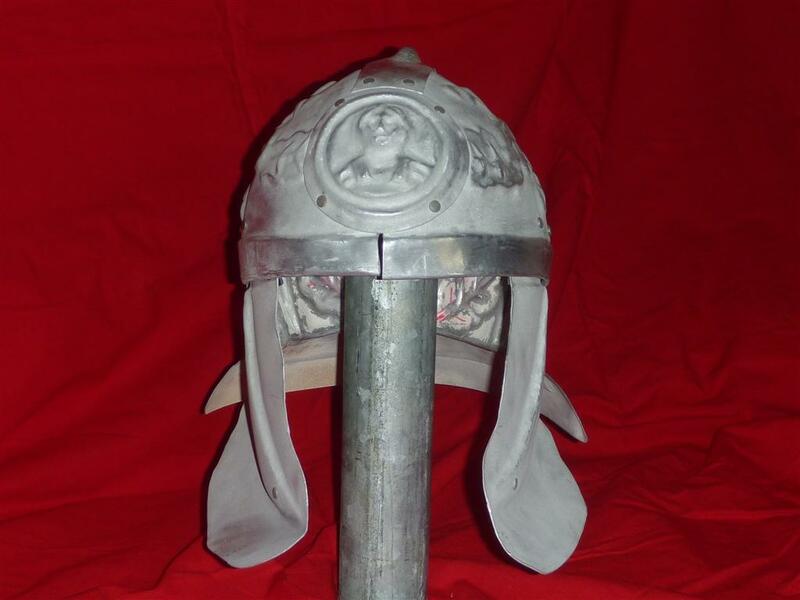 If you have seen the movie Gladiator,..and the performance of the danish actor Sven-Ole Thorsen, you would also be inspired to dress up like a gladiator for Halloween or a costume party. I had for a long time wondered how to make a costume like that, but never had a purpos for such a costume. So when such an opportunity arose i resided it was time to start planing and forging.. here is a blowout drawing of the pre-draft design. 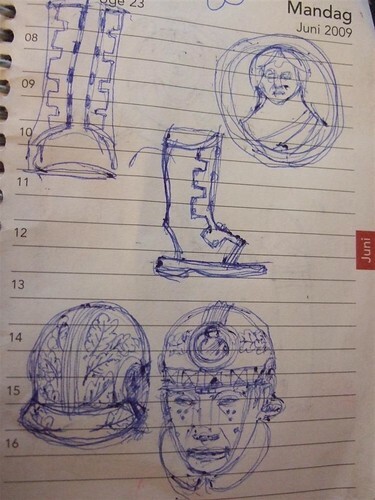 Before i start any project i do my research first, after my research faze i start doodling and planing out the build. It helps to plan before you start cutting metal to avoid any unexpected surprises (c: Metal don't come cheep. 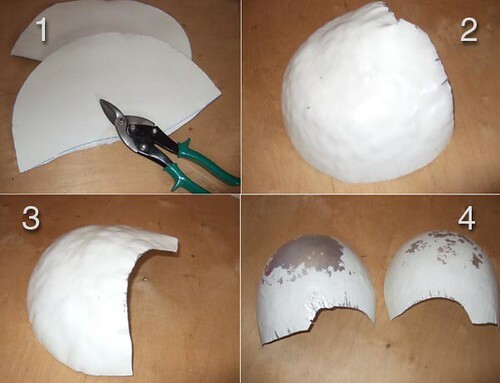 After I've made all the helmet templates in paper, it was time to cut in to metal with plate shears. It is a good feeling.. (c: I started out by dishing the two halves of the helmet dome. As you can see on the picture below there are plenty of bulges in the metal. The next stage is to planish the two halves to remove the unwanted bulges. This is done with a planishing hammer. 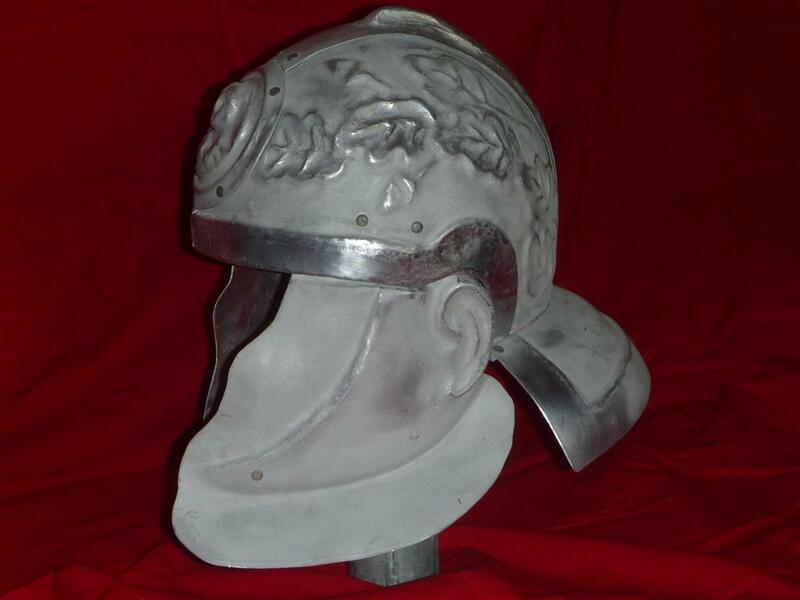 Many of the gladiator helmets found in the museums today are highly decorated and I wanted the same for my helmet. 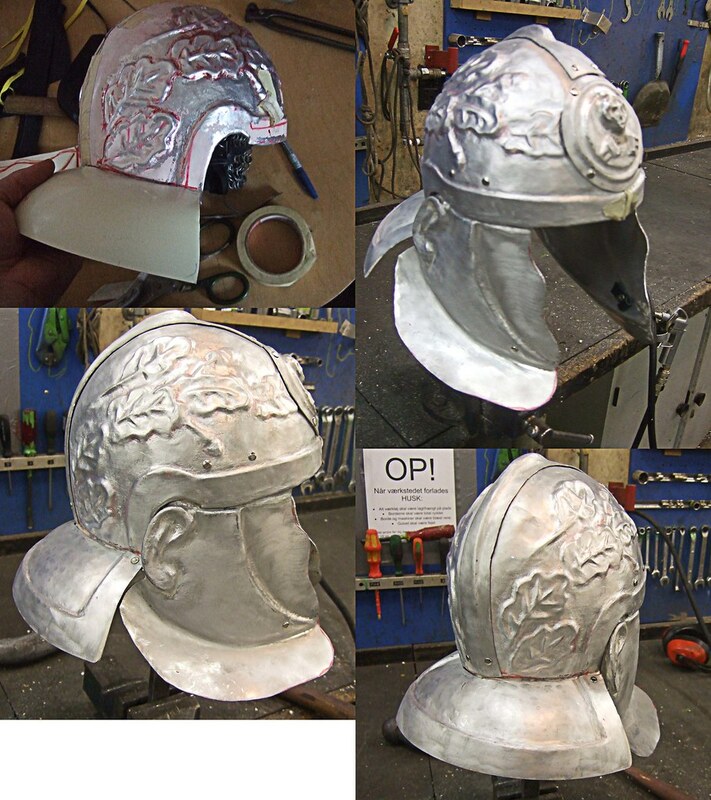 I wanted it to be stunning and have some of that gladiator glamor (c: But decorations in metal don't come easy it is wary consuming work. But the end result is worth it. 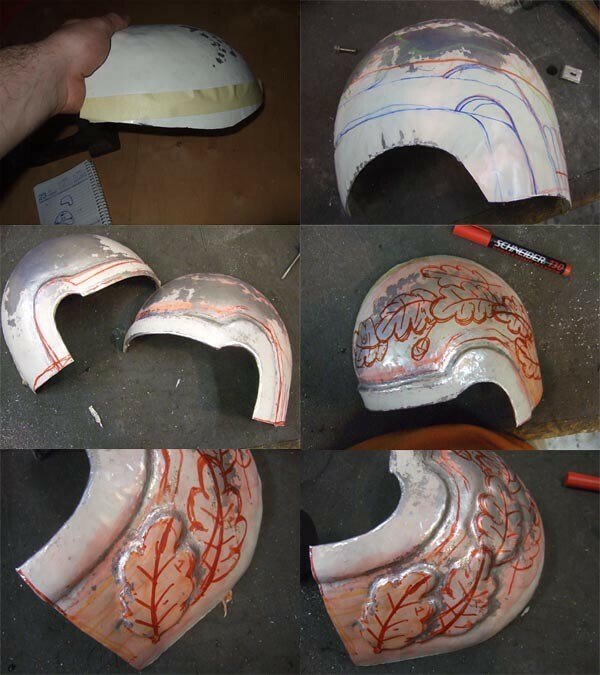 In the following stage i started applying the pattern to the metal by chiseling out the leafs from the inside of the helmet and then cleaning them up with a hammer from the outside. The progress of the oak leaf pattern can be seen on the pictures below. You should not underestimate the ancient craftsmen, by walking in their footprints you can only start to comprehend there level of toolmanship. 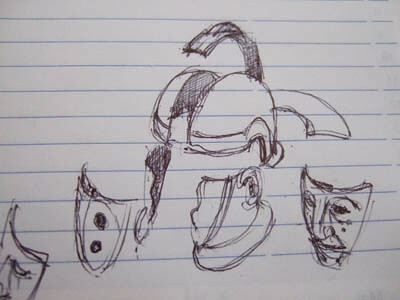 Like these ancient helmet cheekpieces, i was amazed to see that they had ears. 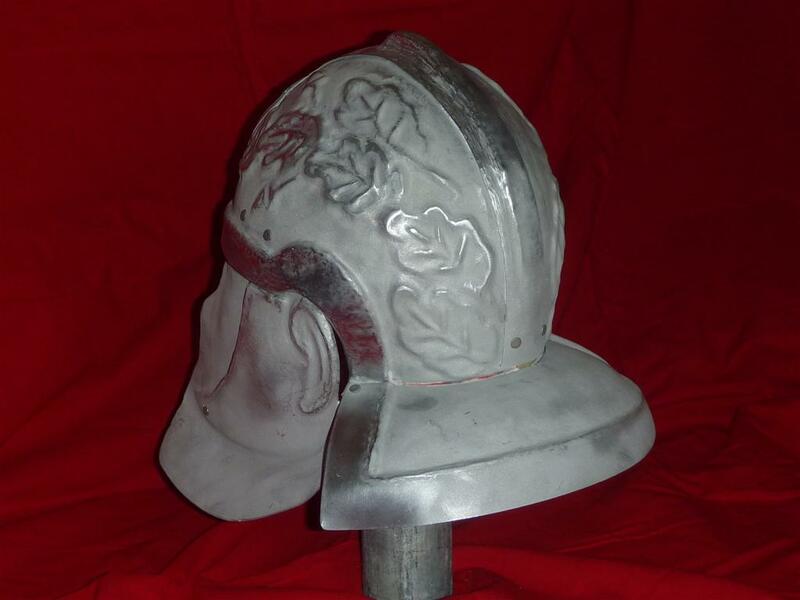 So i when i started researching this helmet I've decided that my helmet should not be cheated of such details. 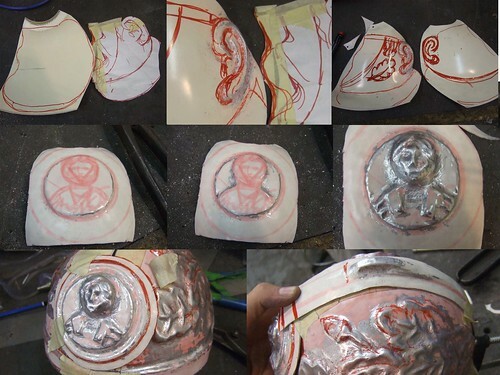 On the picture below you can see the how i interpreted this in metal. As the work progressed more and more peaces got finished, and it was time to poot it all together. For that i've used 5mm metal leather rivets. They can't handle as much mechanical loads as the real rivets, but they are perfect for LARP equipment. 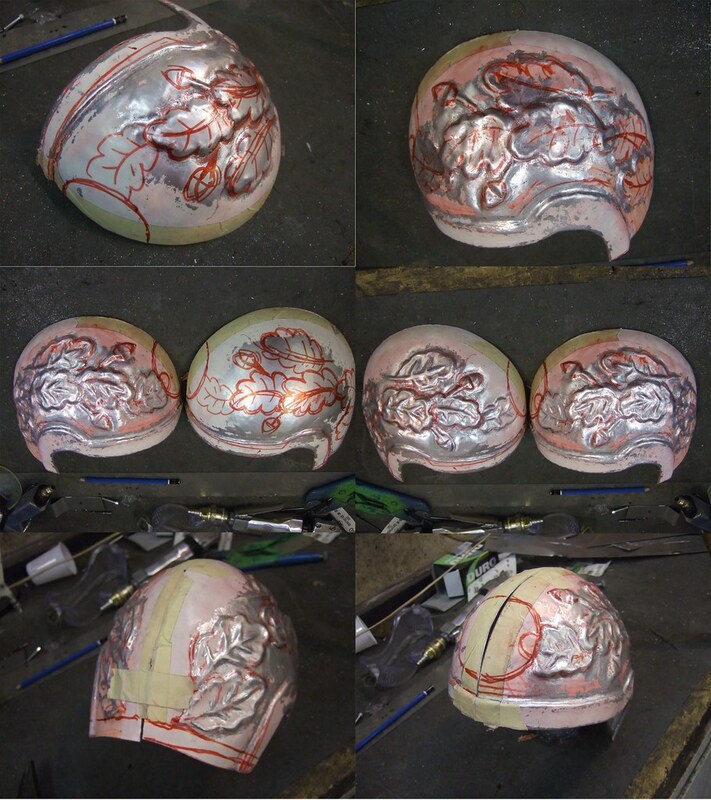 And now for the big finally, here is the finished helmet.